Here we go again! The Great British Summer of Sport is never-ending. 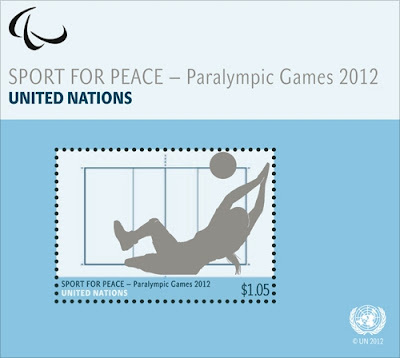 Having only just recovered from the Olympic Games, we are now in full flow with the Paralympic Games. 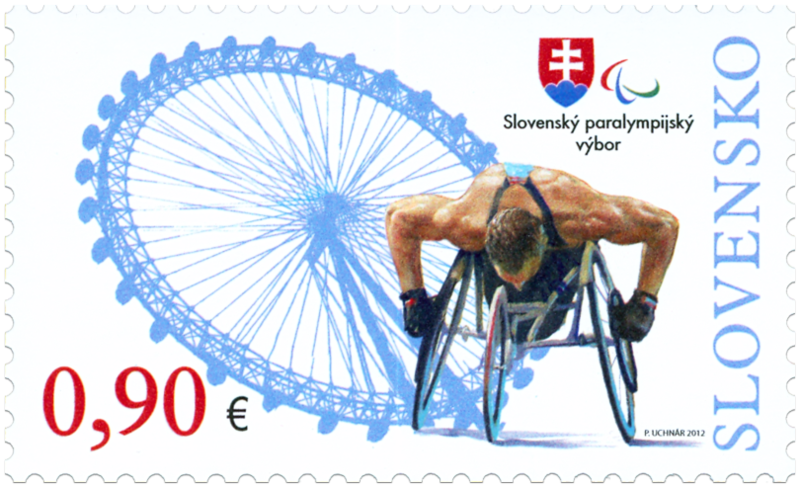 So this a great moment to pause for a while and see what's on offer with regard to proper Paralympic stamps. It's obvious that Britain has given this subject a bit of thought, so we'll leave those for what it is, after all, they're more than adequately reported on at the Stamp Magazine website. No, I propose to see what other countries have come up with this year. I was going to apologise for just showing a random selection, but after having browsed the internet for a whole morning I can only come up with a meagerly four issues! Blimey. 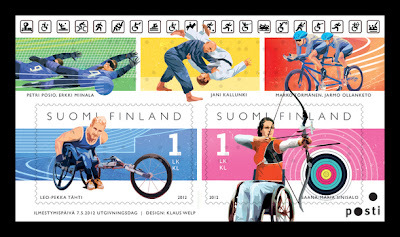 Finland, for example, honoured its Paralympic athletes with a miniature sheet with two stamps, portraying gold medallist Leo-Pekka Tähti and medal hopeful Saana-Maria Sinisalo. The sheet margins include some more Paralympic athletes. It's nice and colourful but slightly predictable. But at least it's better than what the United Nations came up with. 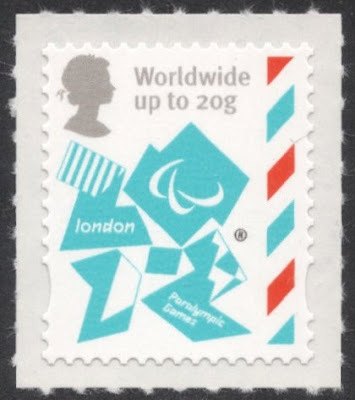 They designed a large set of stamps and miniature sheets, all very much alike, and in the same drabby colours. Not that interesting, I don't think. 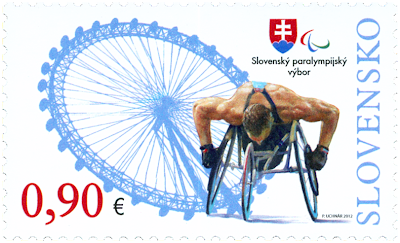 I prefer this Slovakian stamp, depicting an athlete and the London Eye. It's an interesting design because it seems as if the London Eye is the shadow of the wheelchair. Nice play on images going on here. Funny how all the whiteness and the red value makes you think it's a Monaco stamp! 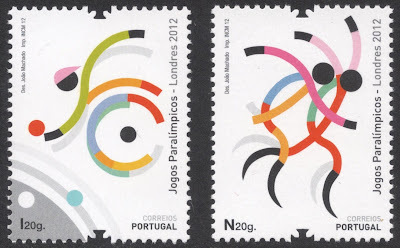 But my all time favourite is the Portuguese issue, shown here on the left, with the Olympic stamp on the right. A perfect pair. Moving slightly away from the obligatory athlete, it is more artistic but still evokes a sense of sporting action, because of all the curvy lines. Splendid! Like I said, I had expected many more issues to choose from. Are there any other? I don't think so but I hope you can prove me wrong!